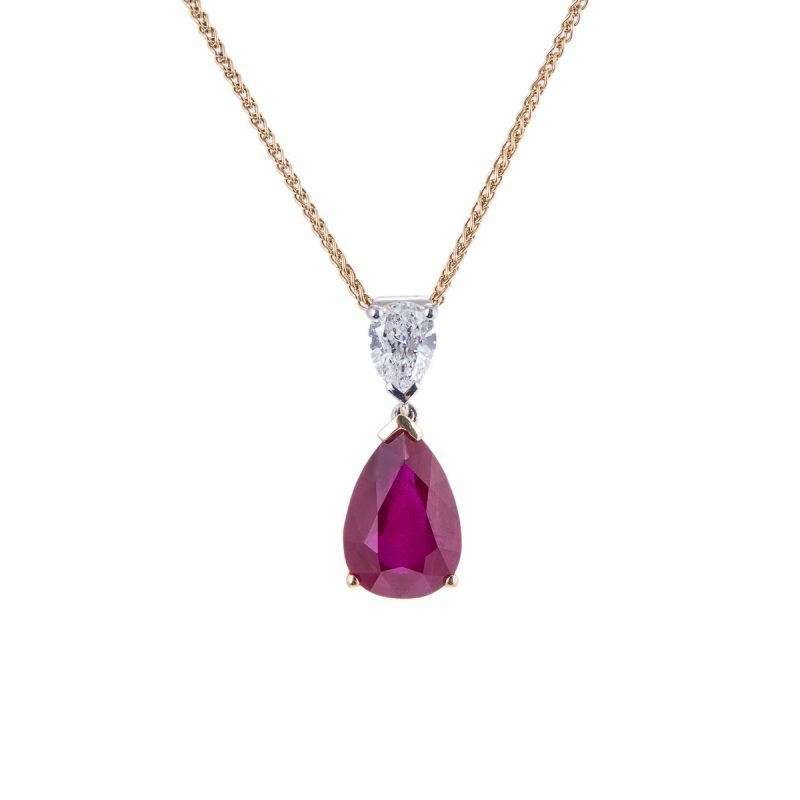 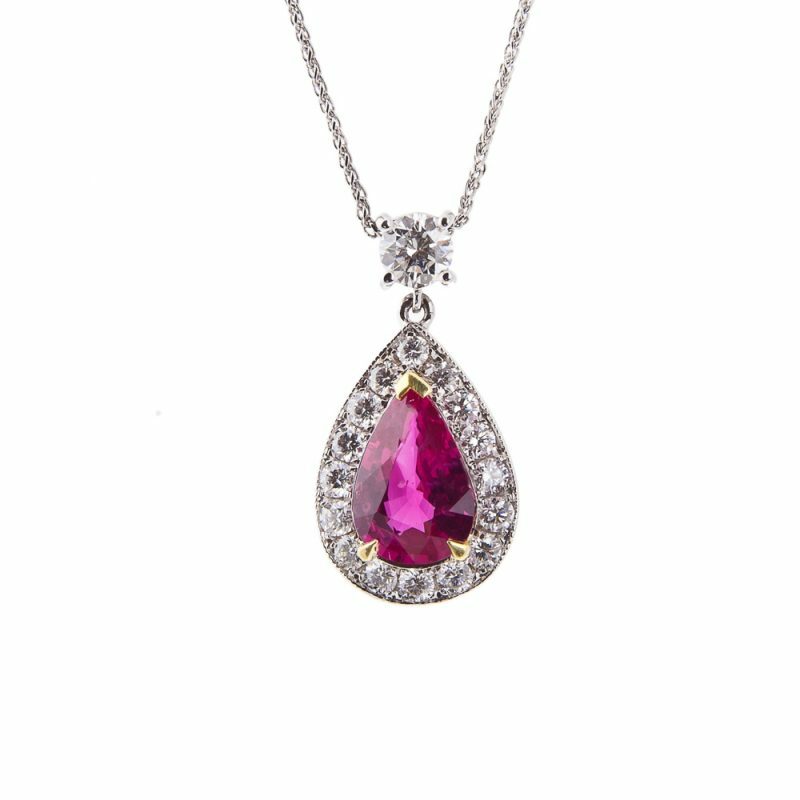 Enjoy the beauty and simplicity of this pear cut ruby and diamond drop pendant mounted in an 18ct white gold claw setting to create a jewelled sensation with this stunning duo. 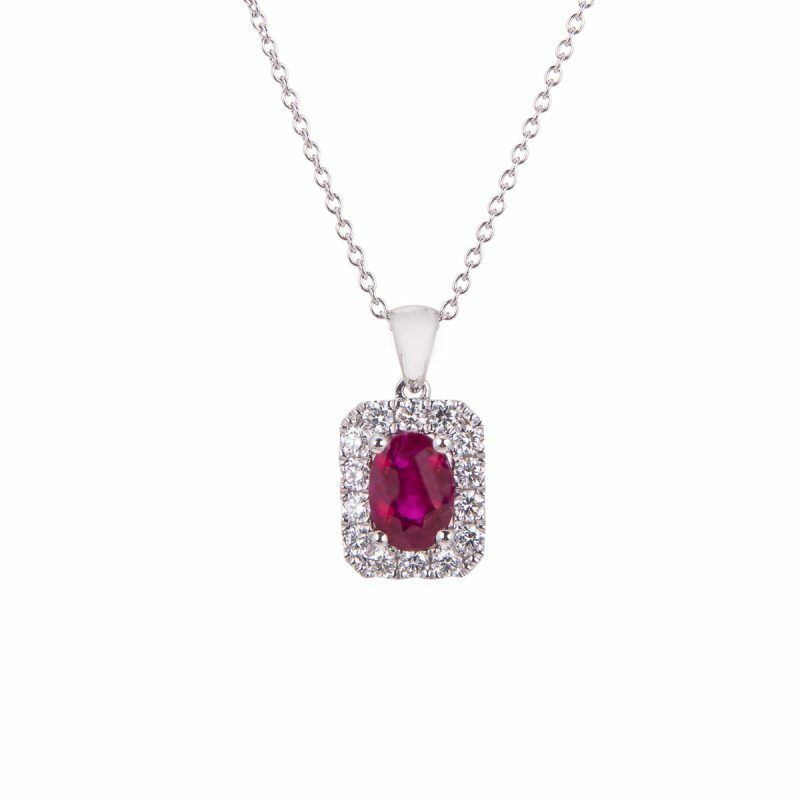 The slightest turn reflects the diamonds glitter and fiery intensity of the rubies. 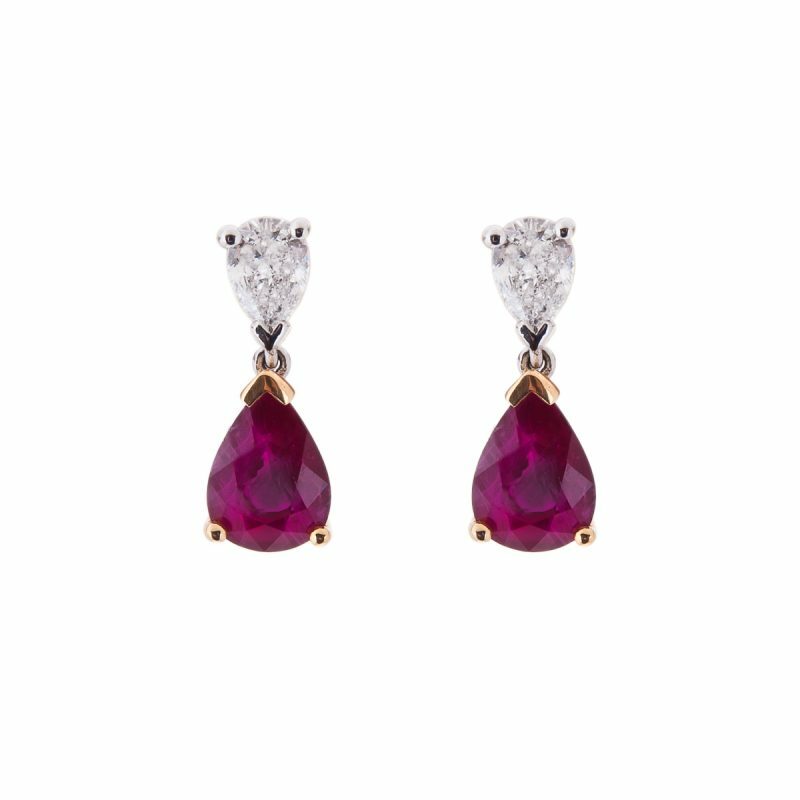 Succumb to their temptation.